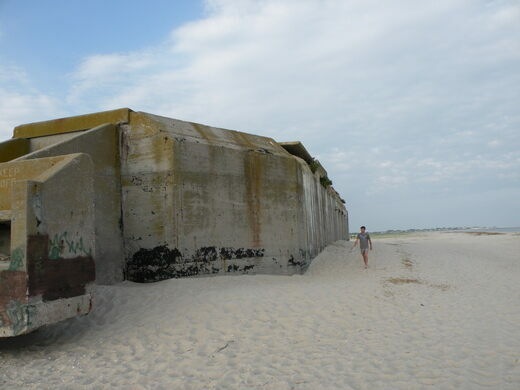 It was never meant to be permanent, but the massive concrete bunker built as a military structure during World War II is still sitting out on the beach in Cape May County, New Jersey, startling visitors to the area and dismissed as just a fact of life by the locals. 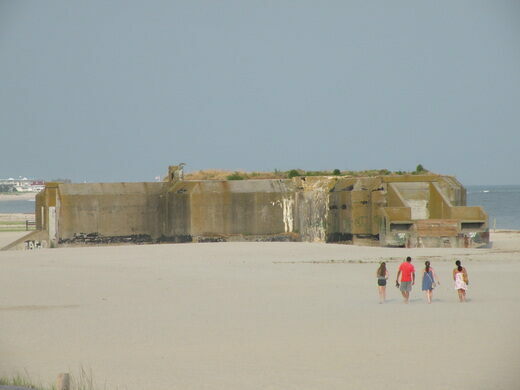 The concrete building, complete with walls that measure seven feet thick, was constructed on top of thick wooden pilings that had yet to give out, even if the rest of the structure is in less-than-ideal shape. 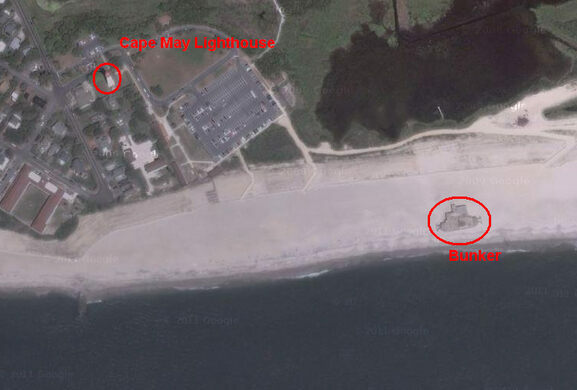 When it was built in 1942, the bunker was more than 900 feet or so from the ocean, on high ground. It was covered in sod so as to blend in with the surroundings, which explains why it’s not so pretty today, with the sides exposed. 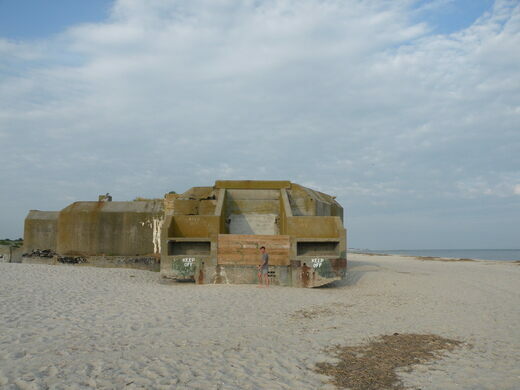 The tide has since changed, though, and it’s impossible to walk under the structure as you once could; the water is always washing up underneath the bunker, which, over the years, appears to be moving out to sea. Vintage cars and motorcycles race for glory in a throwback motorsport celebration on the Jersey shore. 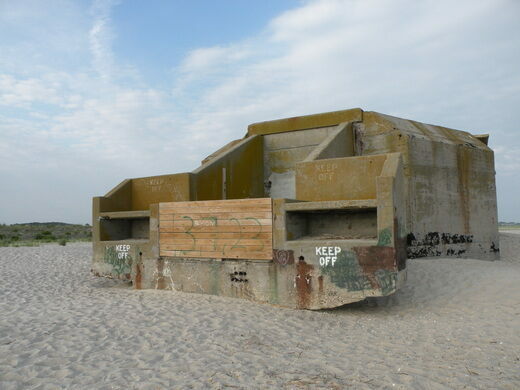 The first privately owned air raid shelter in Britain, built after a horrifying night of Zeppelin bombings.